practitioners and sacred medicine counselors providers will find no better healing ministry tools. 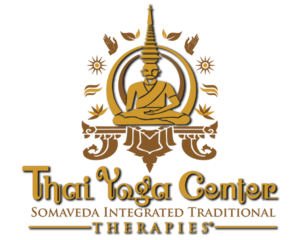 Medicine and Indigenous Thai Yoga (Traditional Thai Massage/ Thai Yoga Massage, Yoga Therapy). Additional emphasis and modalities include Classical Ayurveda, Indigenous and Traditional Natural Medicine. Our healing work is especially relevant as a modern expression of classical religious therapies, Sacred medicine and traditions to the modern world. balancing, healing and transforming the Spirit, Mind and Body. Thai Yoga Therapies are designed to be as beneficial for the therapist as for the client! All courses include Legal Guidelines and Marketing strategies for developing a legal Thai Yoga Therapeutic practice! The NAIC: Thai Yoga Center is able to offer prospective students and practitioners all levels of training from entry level practitioner to Yoga Therapist and Ayurveda Clinician’s as a Sacred calling. Most noteworthy is the Thai Yoga Center through The SomaVeda College of Natural Medicine (SCNM) additionally offers five different religious and ministry college degrees.